Marian Victor, nee Pacquette will be 100 years old on February 26, 2013. She was born in Bioche in 1913. On 29 December 1942, she married Anthony Victor of Dublanc; Anthony died on 23 February 1947. Marian Victor known by some as Ma Victor, Ma Marian or Mari attended the all-age Dublanc Government School up to the age of 15 the final year. Lack of opportunity for women did not allow her to fulfil her potential. As a resourceful individual she proceeded, after the death of her husband which occurred three days after her 31st birthday with three children to care for, to become a thriving huckster. She farmed and purchased Agricultural products and travelled by schooners to the leeward and Virgin Islands and returned with goods to sell to the shops. She embraced the opportunity to migrate to the UK in1956 and in the process facilitated and financed many a relative and friends to do the same providing boarding and lodging before they settled in a job. 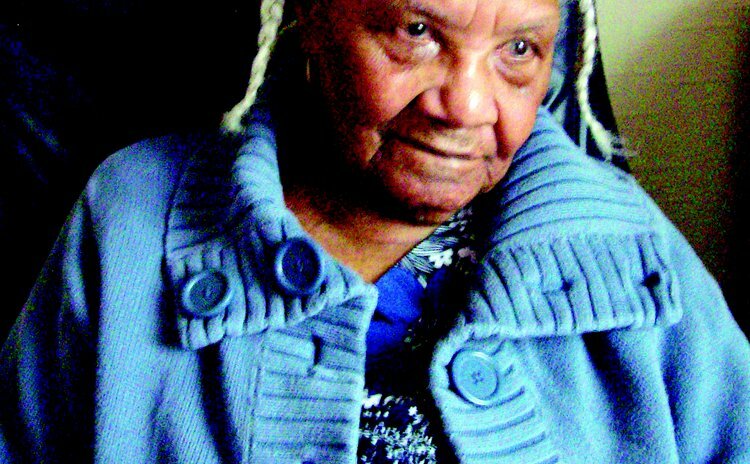 Ma Marian worked as a hospital ward orderly for 16 years during which time she demonstrated her true social kindness as a Mother Theresa at work and at home caring counselling, advising, directing, and feeding especially the young ones who found it difficult to settle in the challenging UK environment. With her strong-willed no-nonsense personality, he still tries to admonish and advise her many visiting families and friends. Ma Marian attributed her long life to unending prayers with her rosary being her major companion, good food to include fresh fruits, ground provisions (yams, tanias, cushcush, dasheen) and of course fresh fish plus her robust and active way of life. To celebrate the centenarian's birthday there will be a special birthday Mass on 26 February in the Chapel of St Anne's followed by a small gathering of close relatives, and residents and staff of the Care home.On16 March 2013 there will be a Mass at the Church of Our Lady of Good Counsel, Stoke Newington, followed by a celebration party for invited guests at Stoke Newington Town Hall.